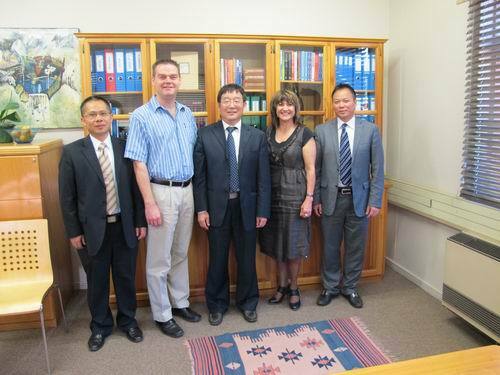 From September 13th to 20th, under the kind invitation of Kenya Mountain University in Kenya, University of Cape Town and the University of Pretoria in South Africa, JGSU delegation led by President Zhang Taicheng, joined by 4 leaders of the Party Publicity Department, Auditing Department, Equipment Management Department and Office of International Cooperation and Exchange visited these three universities in Africa. 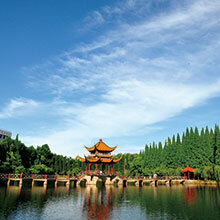 During the visit, our delegation held talks with university leaders and directors of International Academic Program Office of the three universities. 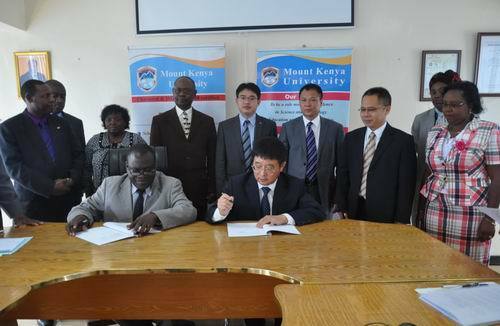 Memorandum of Understanding was signed with Kenya Mountain University, reaching an agreement in developing cooperative programs and services, faculty further study, mutual-recognition of credits, academic exchange, etc. The delegation also had discussions with the relevant schools of the three universities, learning their practice in student recruitment and management, teaching, scientific research and faculty management, as well as curriculum setting. The delegation had extensive and in-depth discussions with three universities concerning faculty and student exchange, cooperation in scientific research and academic exchange, and finally reached preliminary cooperative intention. 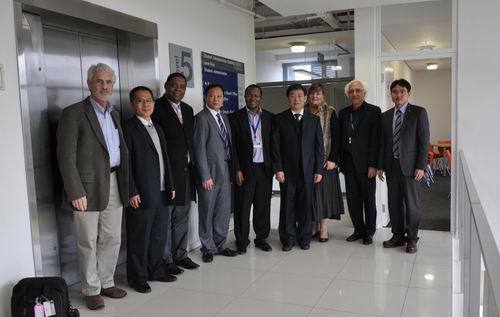 This visit has opened up the communication channel with universities in South Africa and Kenya, promoted the educational cooperation and deepened intercollegiate cooperation and program operation, which has laid a favorable foundation for further cooperation.